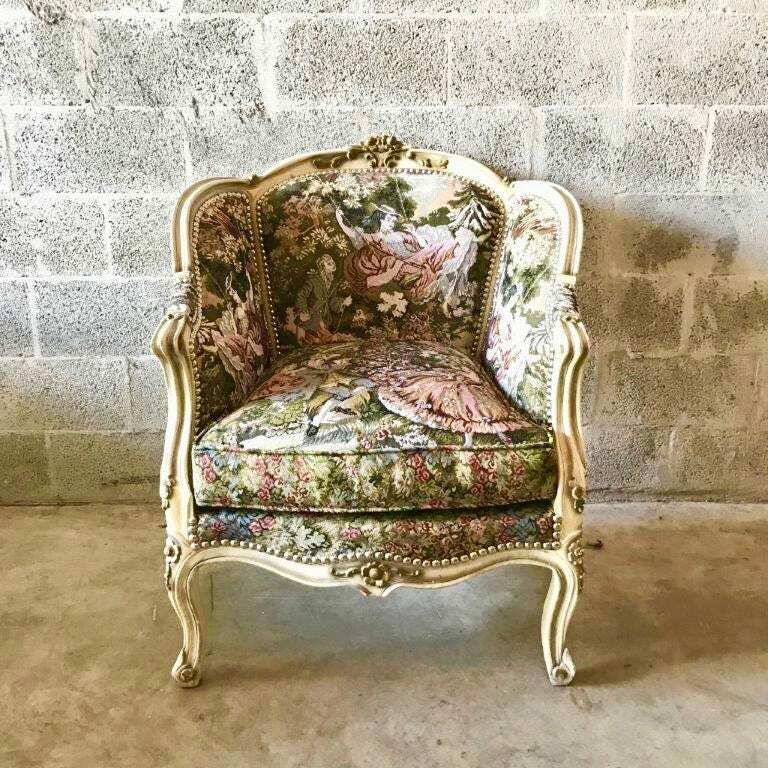 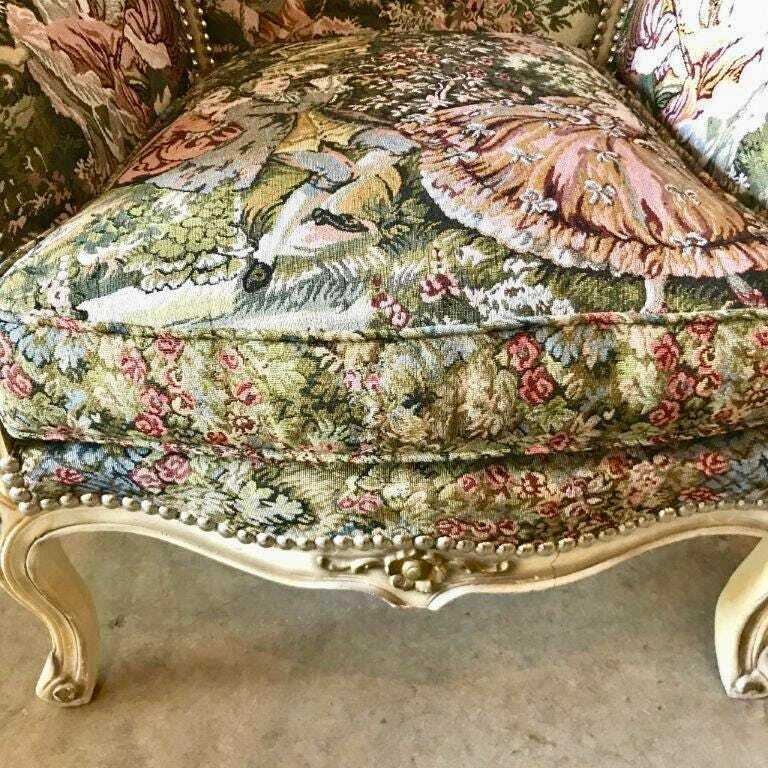 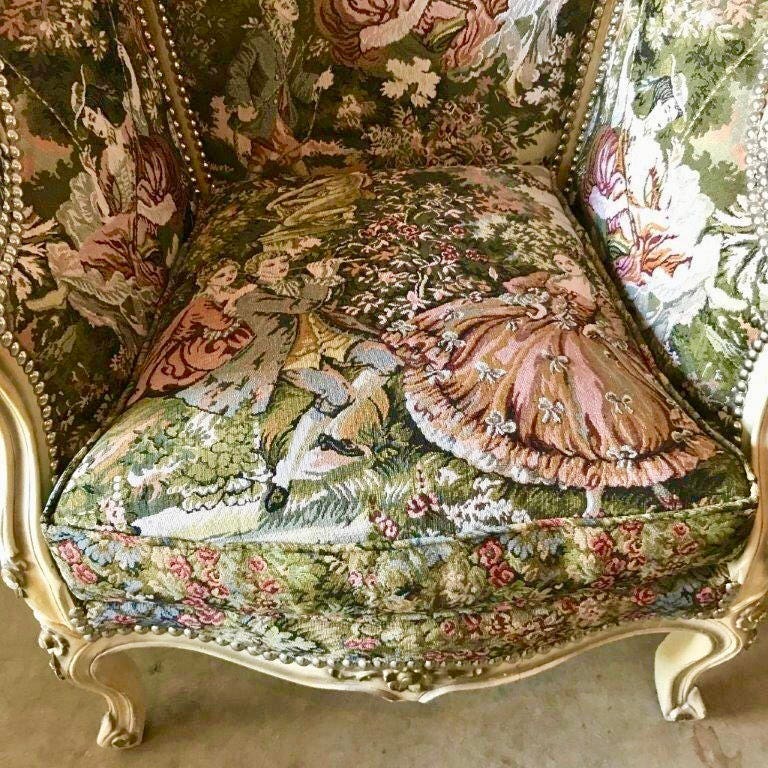 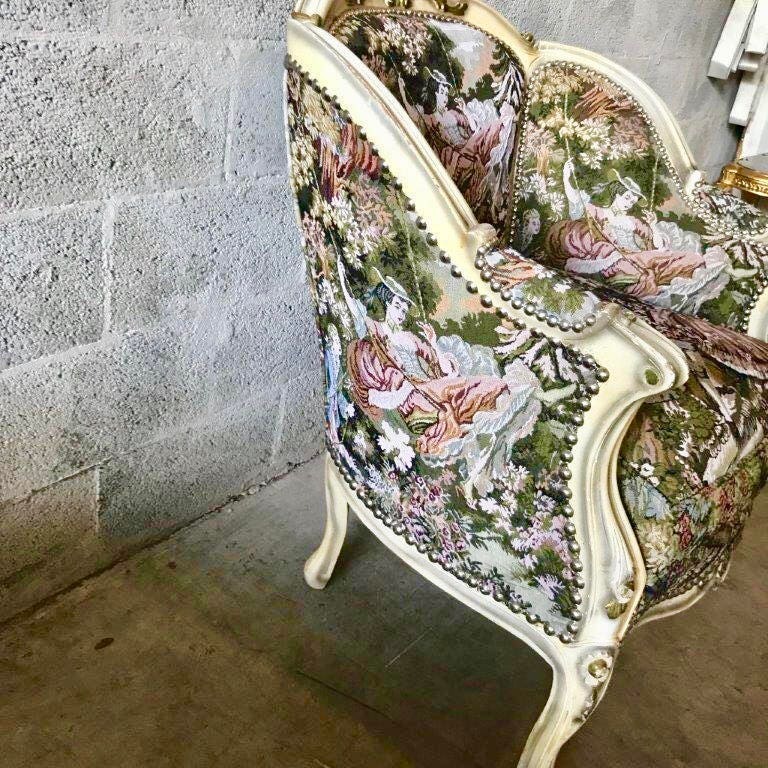 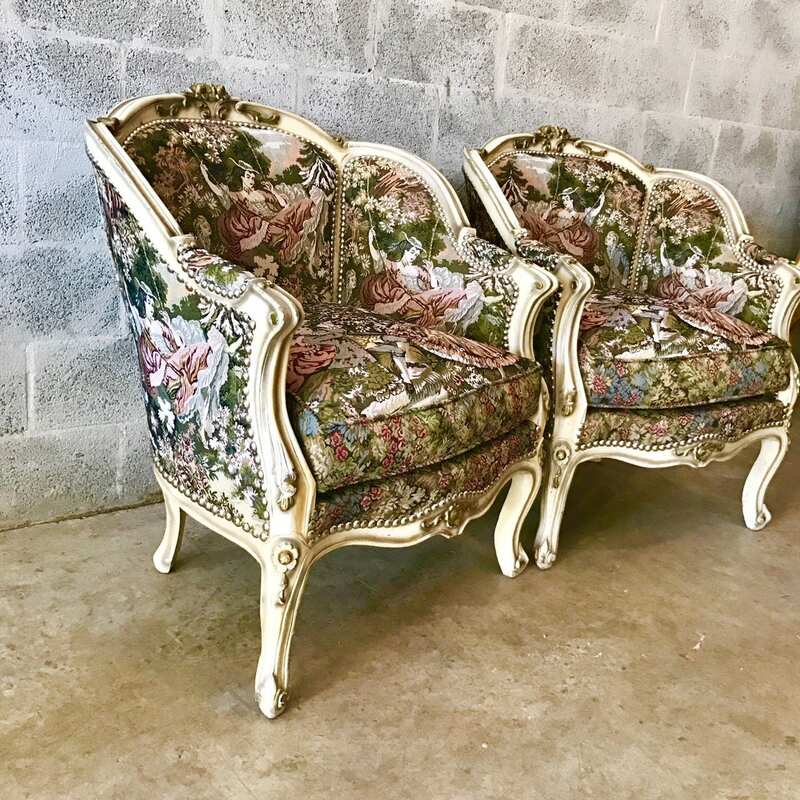 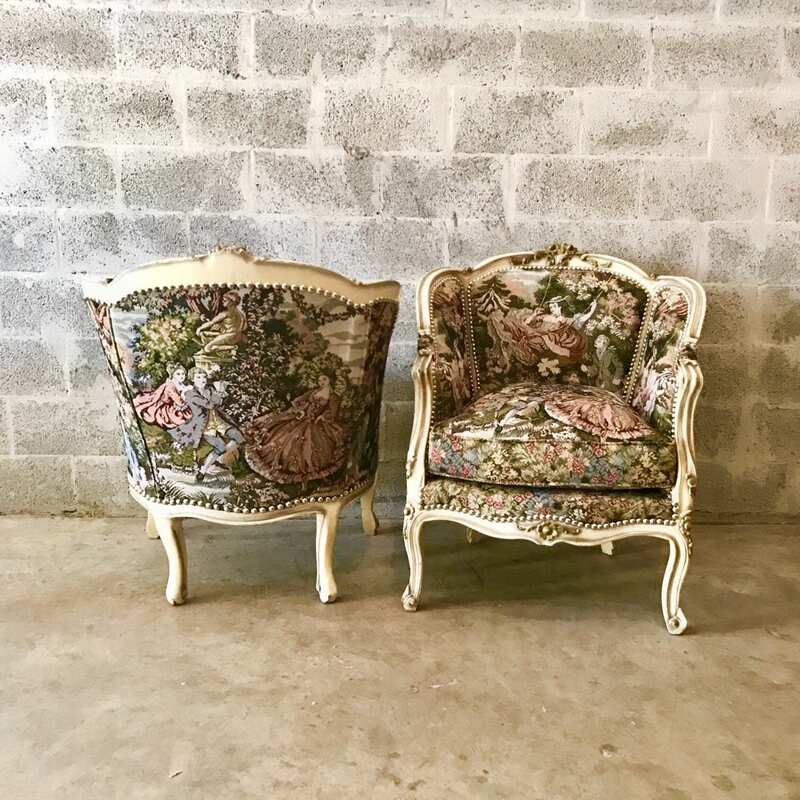 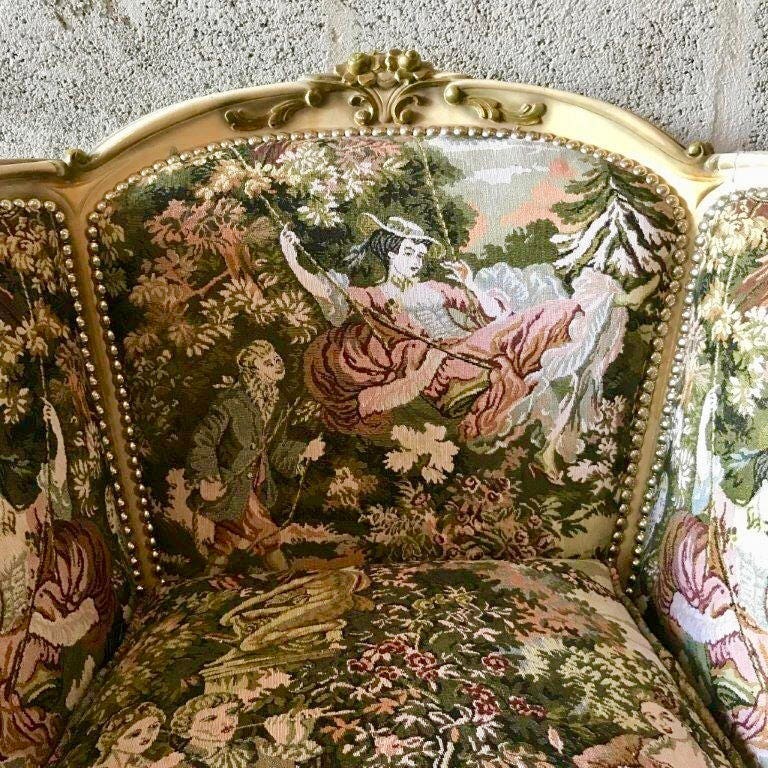 Lovely french chair showing its original beige cream frame color recently reupholstered in high end Romeo & Juliet fabric. 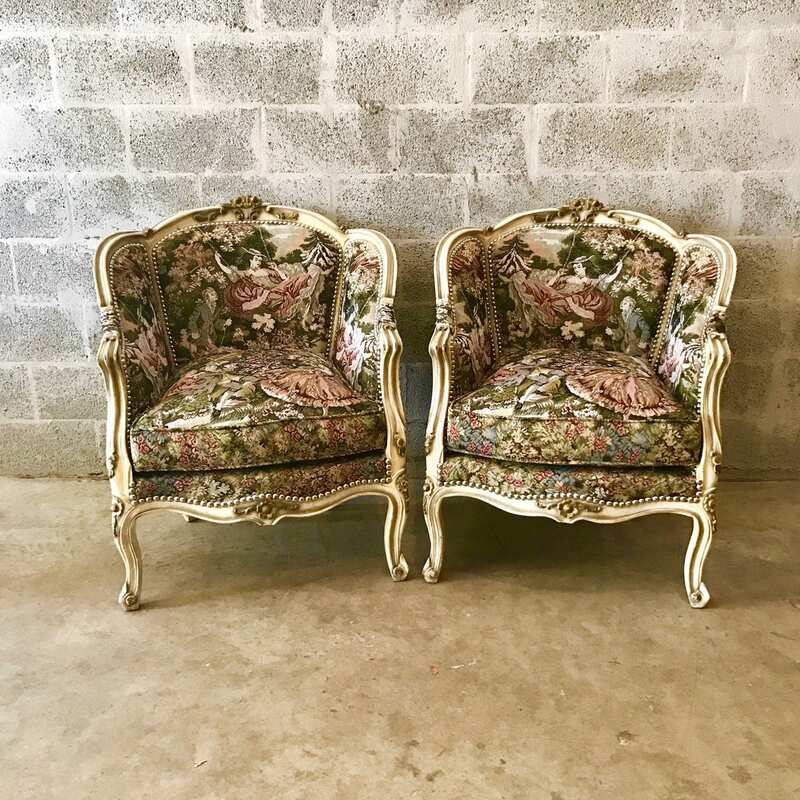 I have a pair but willing to split the set. 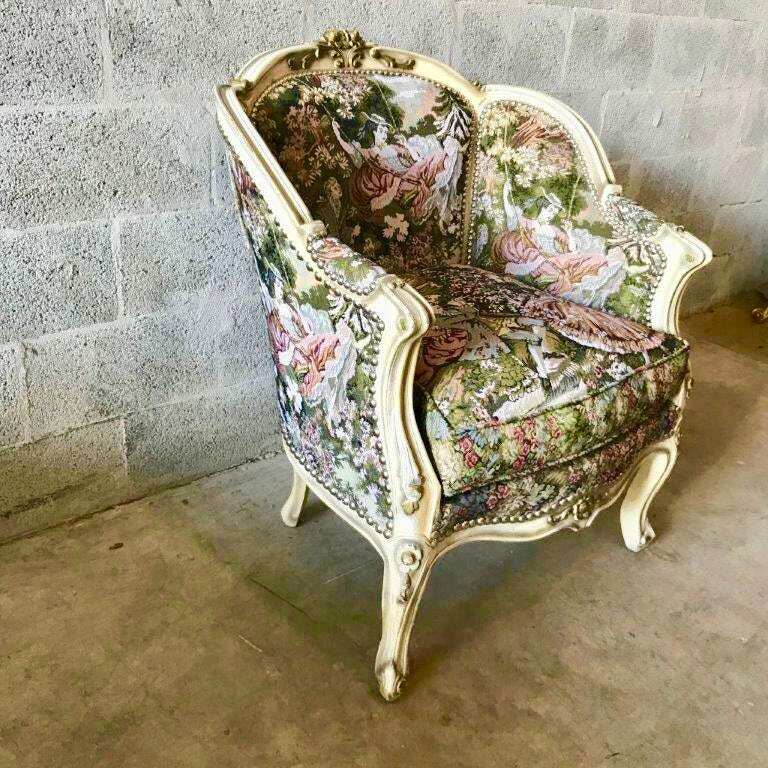 Super comfortable and ready for every day use. 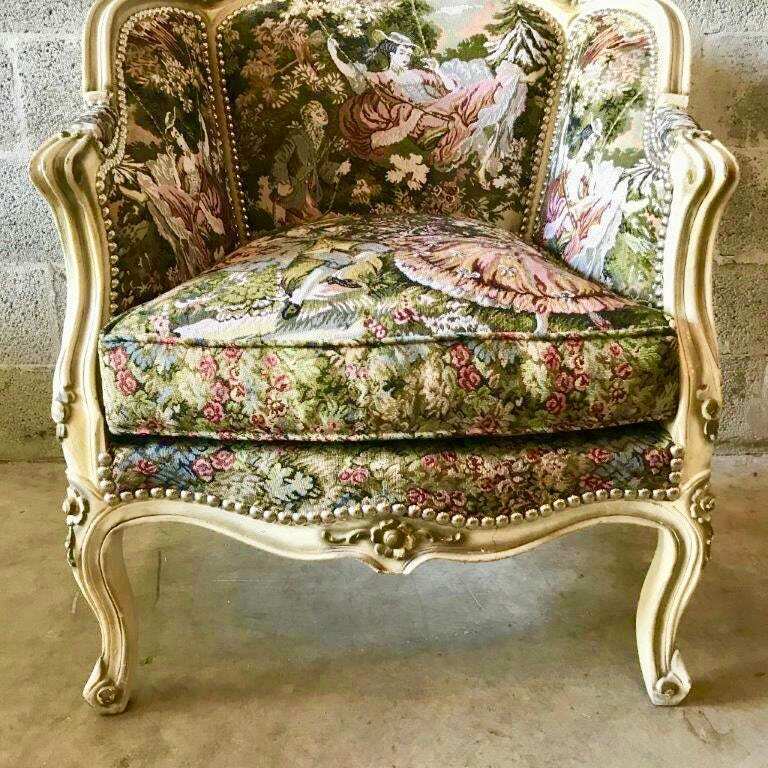 Dimension Chair: 37.5"H x 31"D x 31.5"W. Floor to seat 21"